In his new book Living by Faith, Dwelling in Doubt, from Loyola Press, Kyle Cupp presents many of the counter-cultural truths of a Catholic spirituality, making a case through his lived experience for a way of seeing – and believing – that doesn’t play by the world’s rules. While Christian bookstores seem to be filled with feel-good, prosperity-Gospel, God-will-give-you-answers books, Kyle’s slim volume gives us something much different, and we should be grateful for this. Faith is a mystery, but this book reminds us that it’s a mystery that’s worth talking about, a mystery that should be plumbed even if our search for definitive answers will be futile. Faith and certainty are not the same thing, and truth is not the same as fact. I have yet to be able to convince some of my more rationalist friends of these beliefs. Now I don’t have to. I can just give them this book. Human beings matter – and that includes each one of us. 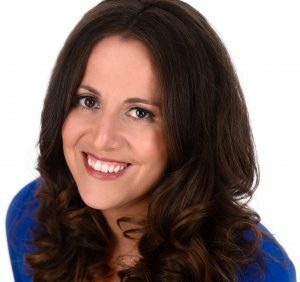 Much of the narrative recounts the tragedy of losing an infant daughter, and the reverence which with Kyle and his wife held her life, even though it would never meet the expectations that most parents have for their children. I got shivers when reading about Kyle performing an emergency baptism, being struck not just by the significance of the sacrament but by the importance in this situation of a parent mediating this act of God’s grace. Faith is a choice, not a feeling. “Religious faith is my response to a God who reveals through ambiguous signs and wonders. Religious faith is not the same as being certain that I have heard and understood that revelation.” We hear this same explanation often applied to love, and Kyle uses the metaphor of married love as well. What is broken is not necessarily inferior to that which is whole, and we renew that which is broken through patterns of meaning-making. 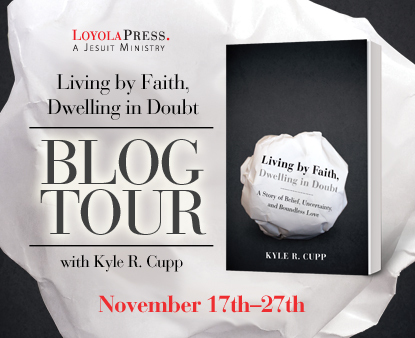 Be sure to follow Kyle and Loyola Press on Twitter so that you can hit all of the stops on this blog tour – and happy reading! Margaret, I love how you put this, framing Kyle’s remarkable book in such a wonderful way. I saw this when they profiled the book on their blog, though unless it’s a runaway bestseller, not likely something I can find without buying it (I’ll check if LAPL has a paper copy). Not opposed to buying books, but no budget for that now. I wondered about this book, but now will probably see if I can find it. I have a relative whose been swimmiing in the prosperity gospel kool-aid for awhile, too long — she’s pruney and stained by it. From what I’ve noticed, it seems to be sort of new and elementary believers (adult believers) who get sucked into this. I shop at Christian bookstores — the mainstream ones, there are a few legit independent ones that aren’t full of fluff — when I need bible index tabs or some random <supply. There are some things worth reading, but you have to know what you’re looking for. I call all that fluffy drivel “spiritual chee-tohs” (it is the perfect metaphor on every level). I mean, if they’re going to stock tiny encouragement books, why not Nouwen? Incidentally, one if the few authors you might cross in one of those bookstores worth reading that you might not think would be is Sheila Walsh. Her story is amazing. Will definitely be looking for this where I can fiind it. Blessings for your Tuesday. I will order it today ! Will read it right after I finish “Jesus Feminist” by Sara Bessey. Thanks for sharing Margaret. I’m hoping to read Jesus Feminist soon too. Let me know what you think! Thanks! I hope you have a chance to enjoy the book!